My husband's favorite pants were torn and were ready for the garbage. Unfortunately he did not agree. So I patched them...my way. I met my husband at a roller stating rink at the tender age of thirteen. No, he was not my boyfriend, not even my friend. Yet. We met because he was dating my best friend, whatever dating means when you're in seventh grade. We didn't attend the same school and since middle school relationships are notoriously short lived, our acquaintance was very brief. However, the following year, I bumped into him again. This time my friend was dating his friend. Again, it was a quick romance. Hello and goodbye really, not enough time to get to know one another. It wasn't until the summer moving into tenth grade, that my best friend starting dating another boy, who also happened to be good friends with my husband, and so our paths crossed one more time. This relationship lasted a lot longer, throughout high school and parts of college, so we were constantly thrown together during those years. While we were not romantically involved, I was just one of the guys, we always seemed to gravitate to one another. We had the same sarcastic sense of humor, we sparred often over the silliest topics and we laughed constantly. While I technically stopped being one of guys at twenty one, when we started dating, the true nature of our relationship didn't really change at all. Even now, decades into marriage, it's still the same. Friends first and still playing can you top this. Take February for example. We celebrated our twenty fourth wedding anniversary. Did we travel? Have a party? Go out for an extravagant night on the town? No. We were squabbling about pants. You see he has this pair of jeans that I totally hate. They're ill fitting and look terrible...they're faded, baggy, way too big and of course, he loves them. He says they look like jeans, but feel comfy, like sweats. That's not a thing. They're just bad. So you can imagine my excitement when he showed me two small tears in the legs! Finally, I was going to get to throw those suckers out. Fabulous. What? I can still wear them. The rips are small. Well, they were small, until I was "examining" them and made them a little bigger. No big deal. You're crafty. Just patch them. Ok, now we were getting somewhere. I could totally patch them and I told him so. I told him exactly how I could repair them with a giant sequined heart patch or a embroidered rose. Or Hello Kitty and a glittery lipstick patch...or a bedazzled fairy and angel wings. It was the perfect plan. Evil genius DIY. We laughed and laughed at all the different prospects and I prepared to claim victory. Until he raised the stakes and said, You know I'll still wear them. And he would. Just to tick me off...and to win. Plus, he really, really likes those pants. You would think I would know better after all these years. However, not one to give up, I was all ready to go with Plan B ~ toss them in the trash while he was away on business ~ when I decided that wearing ridiculously patched pants would actually be so much funnier. Of course, finding the right patches was going to be a little tricky. They had to be silly enough to deter him from wearing the jeans, but not so over the top that I would be embarrassed to be seen with him, if he decided to see my bet and raise me. And then I saw them. There at JoAnn crafts, holding hands. Smiling. Just begging to come home with me. Just looking at them made me laugh. They were totally absurd, in a cutesy sort of way...and completely inappropriate for a middle aged man's garments...but not so over the top that I'd have to move if he actually put the pants on and went grocery shopping. Bingo. Just what I was looking for. A quick iron and they were on...looking even more ridiculous that they did in the package. Their tiny smiles, plastered on those huge, faded awful denim legs. I washed them while he was away and put them in his drawer, ready to be discovered when his flight landed. I sat coyly by, certain I had one won this battle. Turns out, not so much. Without a word he put those peanut butter and jelly pants on and walked into the kitchen the next morning. And he wore them all.day.long. And maybe the next as well. Although he hasn't worn them out. Yet. So obviously, no clear winner has been declared. I was hoping for a quicker resolution. But winning isn't everything. This has been fun. Then again, maybe I should've gone with Hello Kitty. 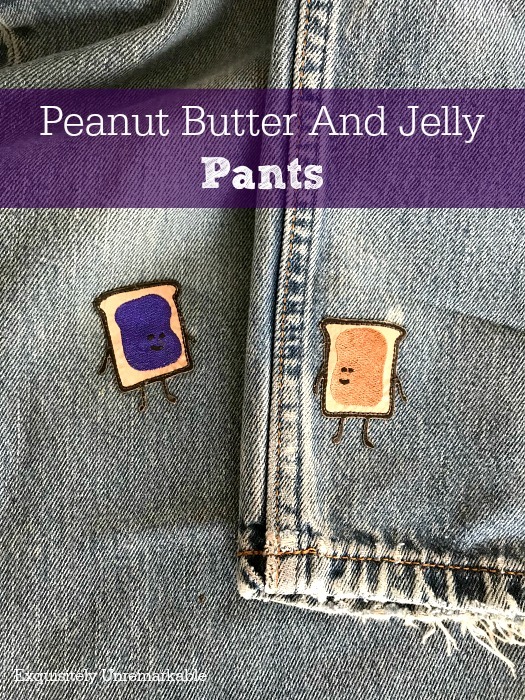 Would you wear peanut butter and jelly pants? **Lastly, Mr. Peanut Butter and Jelly pants would like it noted that our anniversary was not all about torn jeans. There may have been a very gorgeous pair of pearls presented to Mrs. Peanut Butter and Jelly Pants, as well. Maybe. Please Just Take My Phone Away! and we're 38 years and counting! You two sound like a super fun pair!! And congrats...38 years. Fabulous! LOL. This post made me laugh. Peanut Butter and Jelly patches are too fun. Hey once you have that old comfy jeans you do not want to let them go! HAHA....I would probably iron them on the back pockets! But thinking back makes me remember embroidery on all my jeans in the 70s! Did your hubby not say anything when he walked in wearing the jeans? Too funny. Not a word, Pam. He was being coy...and acted like they didn't bother him at all. Ha! He still hasn't worn them out of the house! Oh Kim, how timely this post is. Men must all be alike. I have a brother that I occasionally do patching for. This weekend he was visiting at our folks' and had brought along his favorite fleece pullover shirt and was hoping that I could repair it yet on the weekend so he could take it back with him. My mom suggested that he should just get a new one but it was his favorite. Mom brought the shirt when we met for lunch with my daughter and her boyfriend and I didn't see my brother until the mending was done. The shirt was so well loved. There was two small holes and a larger hole in the body of the shirt, and several areas where the seams had opened, one cuff, one shoulder, one spot on the hem and a small opening under one arm and a much larger opening under the other arm. When I returned the shirt to him he shared that he had answered the door wearing the shirt and the little girl scout selling cookies kept looking at the big gaping hole in his shirt. It was quite impressive. 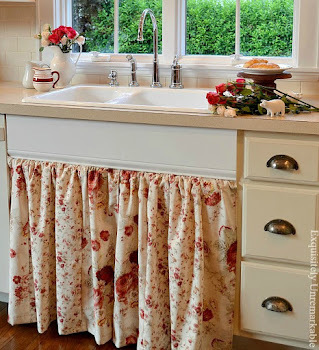 The side seam at the underarm was open about three inches and where the sleeve is seamed to the shirt was open in both directions another 3-4 inches each way. He had put an iron on patch on it at some point long ago and that patch was pretty washed out and was no longer doing what it was supposed to do. The repairs I made in the seams were okay but the holes in the body were kind of puckery and not pretty at all but the shirt had paint on it and I figured that he wouldn't wear it out in public anyway. After he got home he sent me an email thanking me and told me that he would now probably get another 10 years out of that beloved shirt. Your peanut butter and jelly patches are pretty cute. Much better than Hello Kitty. They are totally alike, Lorri! My husband’s pants, your brother’s shirt, a few other readers and their men’s garment tales, they all seem to be exactly the same. A favorite item, almost beyond repair, but worn anyway. I love that your brother expects another 10 years out of it! 😊 My husband has clothes from work that have torn or been stained so he can no longer wear them to the office, so he has demoted them to yard work clothes. My neighbors joke that he’s the best dressed lawn mower on the block! I think he looks ridiculous. I tell him, just wear real work clothes or a tee shirt and old jeans (preferably the patched ones!) but nope, he says these clothes have life in them…why would I waste them. So he looks like he’s going to the office, but he’s putting down mulch or chainsawing branches instead. Oh boy! OMG---I love stories like these. Knowing your spouse for that long is testimony that it was in the stars! Your writing is stellar---no pun intended! And the jeans. Ah, you make me smile!!! Thanks Jane! All your words just made me smile! xoxo Thank you! actually he's probably thinking he's finally right in style! all the celebrities are wearing those purposely shredded knees that cost a small fortune to buy! laughter is the magic glue in a marriage. I was lucky to have it too. living and loving with that kind of relationship is the best! and that peanut butter and jelly is cute enough to not even need a patch to put over. just to wear! hearing your story I think you two were definitely meant TO BE! I agree, Tammy...laughter is strong glue. And those pants have given us a lot more to laugh about lately. Hahaha. 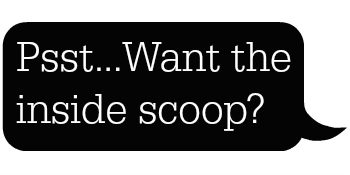 I love this story and your ongoing game of one upmanship. Sounds like a great marriage with lots of laughter. Sweet and beautiful story. You are blessed. Laughter is the best glue in a marriage! My husband won't wear jeans. I guess he wore them in high school, I didn't know him then but he never wears them now. He has some pretty grubby khakis thous that I could this to! Our son & daughter-in-law met when they were 13 then became a 'couple' when they 14. At the time I figured it would be a few weeks & they'd move on to the next pretty face but they stayed together all those years except for 2 weeks in 11th grade when they had a tiff. My son dated two girls in those two weeks & was miserable. I was just glad they didn't marry right out of high school! They've been married 4 yrs now & have a 4 month old so I think it's going to stick. I can't imagine living in the same place all my life, growing up & marrying someone local...working 5 miles from the house I grew up in. It seems they've reverted back to our parents! I guess when it's right, it's right! Besides the dating from the start thing, my story sounds a lot like theirs...marrying someone local, living and working in the same town, and while I did go away for college, I never dreamed of living anywhere but here. Maybe it's the beach...it's a hard thing to leave! Enjoy that baby, lucky you that they're so close by! A very fun read this morning! Steve would NEVER wear the pants - even to paint in! I would definitely wear those patches... er, jeans! Great story! I would wear them, too, Bobbie! Glad you liked the tale the saga...it was a fun one to share. I guess our men are creatures of habit, Judy! The sad thing is that I know when these finally wear totally out, he will replace them with a similarly awful pair...Maybe I should've bought a few more patches! I really should've gotten bigger patches. You're right Florence!! Too funny! What a great story. Has he worn them out in public yet?! And what's this about pearls...we want to see! He has not! I told him I feel like a win is near…I’ll keep you posted! And funny story about the pearls, well, sort of. My mom had given me a set of pearls for my 16th birthday. This summer they just disappeared. I have looked everywhere. I don’t have a big house or a lot of stuff, so if they’re here, they are hiding really well. I have been so upset about it, especially after my mom’s passing. My family keeps telling me they’ll show up and I hope they’re right. However, on my anniversary, after we said we weren’t exchanging (what do we need??) my husband and kids were all whispery and giggly and he presented me with a brand new gorgeous pair. He said he knows that they don’t take the place of my mom’s, but now maybe I won’t miss them so much until I find them. So sweet….maybe I’ll share them on Instagram! Thanks for asking! Perfect, Doreen!! I am drawing up the papers right now! If he wears the pants out in public, and you are with him, find a different isle quickly . . .
Mister Irish has a pair of wide cord pants . . . AWFUL . . . he wears them, (in public) when the weather turns bitter cold. It doesn’t seem to deter him . . . oh my, they are dreadful. I am thrilled when we have warmer winter weather. And the baggy, worn out pants aren’t on him . . .
By the way . . the gift of pearls from your “friend first” . . . was a lovely anniversary gift . . . The pearls are really special, Lynne...he actually gave them to me to replace a pair my mom had given me long ago and that I misplaced this summer. So sweet...and the pant saga continues. And I know about those wide cord pants...they are my sister's nemesis, too. I guess these boys all seem to have a favorite!! Patches for everyone!! Haha! Awesome!!!! I can totally picture him, strolling about the house with a confident gait, sporting those funny little patches. Who wouldn't laugh at that??!! Love it!! Oh Nancy, he'll be wearing them until the fall apart. Maybe even to the race...now THAT would be hilarious! He's still wearing them, Lisa...just not out of the house, yet. I feel like a win is in reach! Fingers crossed. Haha! Laughing together is a very good thing! Leads to long marriages! (smile) Those are the cutest patches! Genius win-win for both of you I think. Thanks Deanna! The laughing was the best part of the pants story…and it continues every time I see him wear them. Silly. Hi Kim, oh you and your husband have known each other for a long time! I really enjoyed reading your post today. 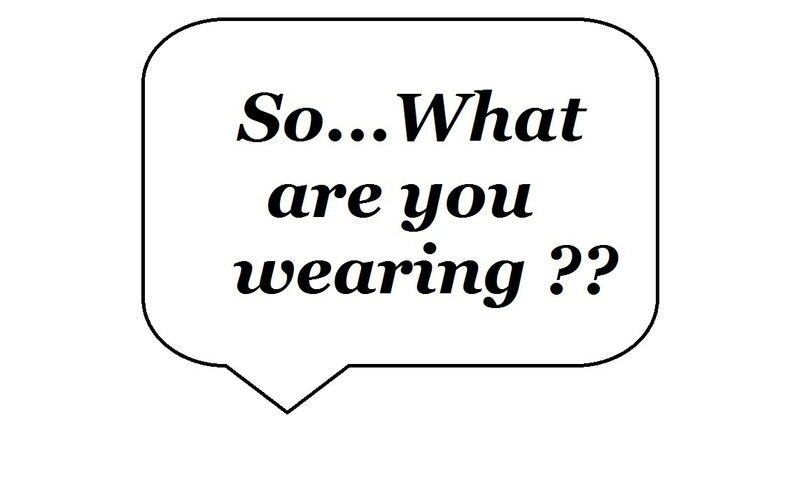 It is so funny the way guys like certain clothing and everything. 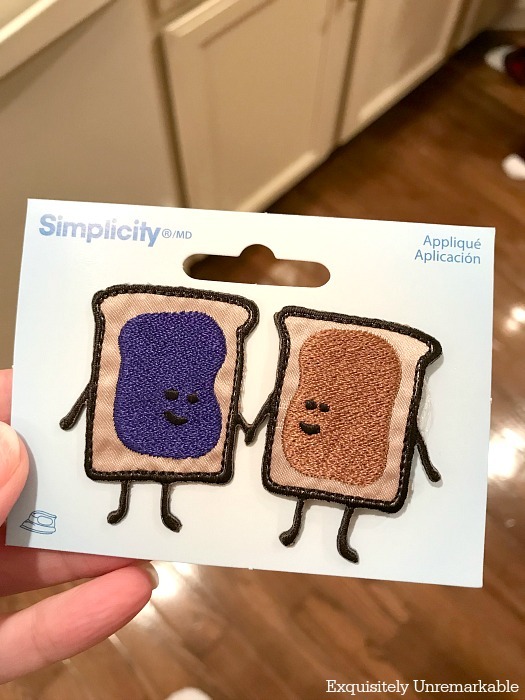 I think those patches are really cute the way the two of you are! You two sound like you have a lot of laughs together. Happy anniversary to you and your husband. Happy blog anniversary too to you and I'm so glad that I discovered you from blogging!! Thanks so much, Julie, for all the sweet wishes! We have known each other a long time. Sometimes I can’t believe how long. Where did the time go? John has a few long sleeved shirts with holes for his thumbs to slide through, because his son told him it was cool 5 years ago. I'd like to take those shirts and burn them. For now they're hidden and he hasn't asked. Out of sight, out of mind? I hope so. What you did is hilarious! Did he notice the patches at first? My husband would have worn them for a week straight before they caught his eye. Maybe when the jeans finally fall apart you can salvage the PB & J pieces and frame them. And by "fall apart" I mean they have an unfortunate accident with a seam ripper. (cue Jaws theme song). JK I think its great that you two have something fun to "fight" over, its cute! My hubby has these jeans from high school...and we're fifteen years out from college...to date those pants. He loves them because he can still fit into them (I totally understand this and am not at all jealous...or maybe just a smidge). They aren't holding up anymore and I've thought about taking the pants to the mall and asking for another pair of pants exactly like his tattered favorite. Surely its been enough time for the fashionable cut of his jeans to come back around, right? Even if I did find an adequate replacement I'm sure he'd still love the old pair since they're broken in. At least he's low maintenance and we're not spending much on clothes, that's the silver lining here. 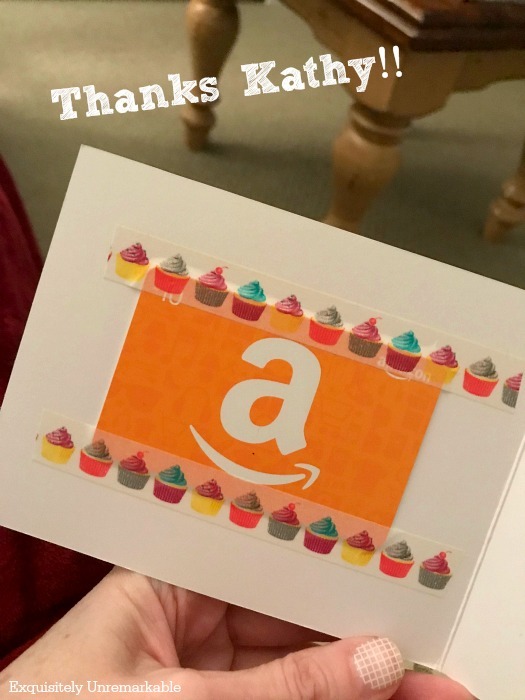 Happy Anniversary, Happy Blogiversary, and congrats on your gift card win! Ok, Audra, your story is better than mine...he has a pair from high school, that still fits? He deserves an award! And I am sure you're right, that even if you found the exact same pair, it wouldn't be the same and he would still wear the thread bare pair as long as he could do so, without showing his underwear! What is it with guys and their clothes? And I love your seam ripper idea. I was laughing at your Jaws reference...I can picture the scene now and it ends with my husband's screams...and my blood. I'm terrible with a seam ripper! Ha! Thanks for sharing your story with us. It's always fun to commiserate! Actually, I think those patches are super-cute! I have to admit, I'm on your hubby's side in this debate about the well-worn jeans...I have some that I could easily wear every single day because they are SO COMFY! Have you seen the price on new jeans that are made to look old and worn with rips and holes? Your hubby's jeans are on-trend! I have seen the prices of those jeans, Carol and I agree...crazy high!! And he pointed out to me that now not only is he on trend with the rips, now he has embroidery, another trend. Apparently, he pays attention to what our kids are wearing and he thinks he's funny. Not funny enough to wear them around town yet, though! LOL .. I like the patches. I loved the story, thank you for sharing. What a fun story. As a senior, I would so wear those jeans. I have tried on more pants in the last couple of months than the last ten years. Either I have a weird body or shapes have changed. Be thankful he is around to have fun with. So many of us are divorced or widowed. Looks like he is a keeper patched jeans or not. Thank you, I am so glad you enjoyed it ..and I totally agree with you and thank my stars every single day, he is a keeper. I also agree with you about the clothes. Pants are so different today and very hard to find. I know I fault him for hanging on to them, but I do the same thing. A good pair of jeans is hard to find!! Thanks so much for the visit. Now, if you really want to up the ante, you could have used one for his jeans and one for a pair of yours he takes exception to - then go out in publuc on a dare! 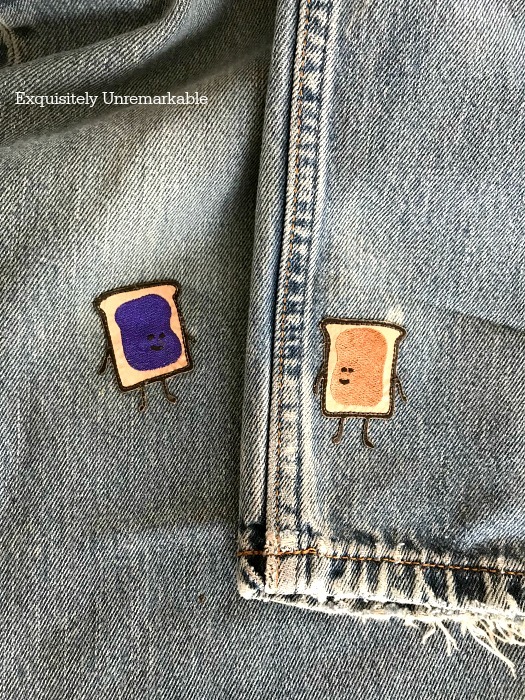 You could be PB&J together! Whoever refuses to be seen in public loses their article of clothing! I envy you your laughs. Enjoy!